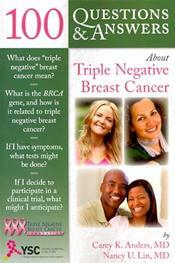 Abstract: Approximately10-20% of breast cancer patients are diagnosed with triple-negative breast cancer. 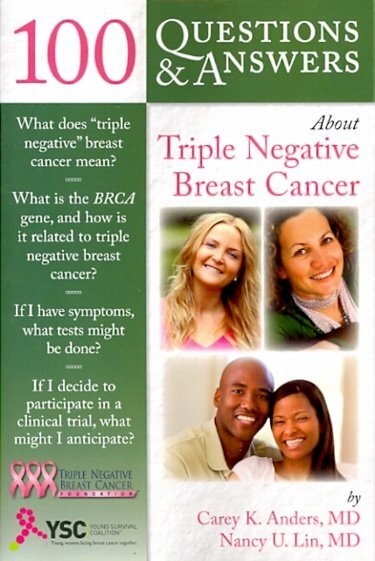 Questions & Answers About Triple Negative Breast Cancer provides authoritative and practical answers to the most common questions asked by patients and their loved ones. This easy-to-read book is a comprehensive guide to the basics of triple negative breast cancer, risk factors and prevention, diagnosis, treatment, survivorship, and life after diagnosis. Written by renowned medical experts on the topic, Questions & Answers About Triple Negative Breast Cancer is an invaluable resource for anyone coping with the physical and emotional turmoil of this challenging type of breast cancer.